Typing in a series of numbers can be a cumbersome process on a touch-screen keyboard. Fortunately, Google Keyboard lets you create a dedicated number row across the top of the keyboard so you can fly through your data entry. 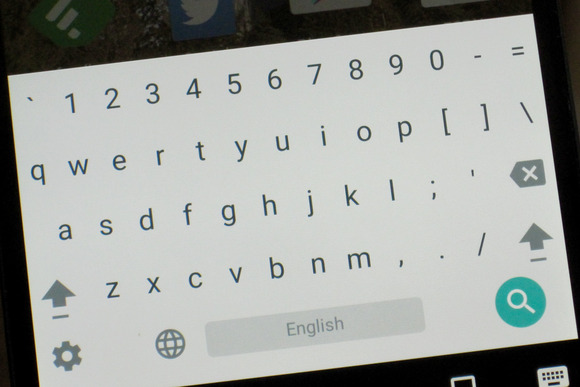 If you’re using another keyboard, make sure you change your keyboard to Google Keyboard for this exercise. Next, you’ll need to head to the Google Keyboard settings, which are found in the keyboard’s app icon. Or you can go to the Settings app > Language & Input > Google Keyboard. With a few steps in the settings you can set up a dedicated number row at the top of the Google Keyboard. From here, go to Appearance & layouts > Custom input styles. Then touch the plus icon. Choose English (US) as the language and PC as the layout. Then touch Add. 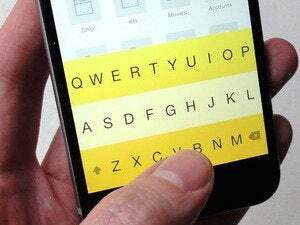 Now launch the keyboard from an app. Hold down on the space bar to switch to your new creation, which will be labeled English (US) (PC). You’ll have an extra top row, which is now full of numbers. It takes up a little extra screen real estate, but it’s well worth it if you’re working with Excel, Google sheets, or doing another task that requires typing in a lot of numbers.